Mind–body dualism, or mind–body duality, is a view in the philosophy of mind that mental phenomena are, in some respects, non-physical, or that the mind and body are distinct and separable. Thus, it encompasses a set of views about the relationship between mind and matter, and between subject and object, and is contrasted with other positions, such as physicalism and enactivism, in the mind–body problem. Substance dualism is a type of dualism most famously defended by René Descartes, which states that there are two kinds of foundation: mental and body. This philosophy states that the mental can exist outside of the body, and the body cannot think. Substance dualism is important historically for having given rise to much thought regarding the famous mind–body problem. Substance dualism is a philosophical position compatible with most theologies which claim that immortal souls occupy an independent realm of existence distinct from that of the physical world. Davidson, for example, subscribes to Anomalous Monism, according to which there can be no strict psychophysical laws which connect mental and physical events under their descriptions as mental and physical events. However, all mental events also have physical descriptions. It is in terms of the latter that such events can be connected in law-like relations with other physical events. Mental predicates are irreducibly different in character (rational, holistic and necessary) from physical predicates (contingent, atomic and causal). Epiphenomenalism states that all mental events are caused by a physical event and have no physical consequences, and that one or more mental states do not have any influence on physical states. So, the mental event of deciding to pick up a rock ("M1") is caused by the firing of specific neurons in the brain ("P1"). When the arm and hand move to pick up the rock ("P2") this is not caused by the preceding mental event M1, nor by M1 and P1 together, but only by P1. The physical causes are in principle reducible to fundamental physics, and therefore mental causes are eliminated using this reductionist explanation. If P1 causes both M1 and P2, there is no overdetermination in the explanation for P2. Occasionalism is a philosophical doctrine about causation which says that created substances cannot be efficient causes of events. Instead, all events are taken to be caused directly by God itself. The theory states that the illusion of efficient causation between mundane events arises out of a constant conjunction that God had instituted, such that every instance where the cause is present will constitute an "occasion" for the effect to occur as an expression of the aforementioned power. This "occasioning" relation, however, falls short of efficient causation. In this view, it is not the case that the first event causes God to cause the second event: rather, God first caused one and then caused the other, but chose to regulate such behaviour in accordance with general laws of nature. Some of its most prominent historical exponents have been Louis de la Forge, Arnold Geulincx, and Nicholas Malebranche. According to Immanuel Kant's philosophy, there is a distinction between actions done by desire and the ones performed by liberty (categorical imperative). Thus, not all physical actions are caused by either matter or freedom. Some actions are purely animal in nature, while others are the result of mental action on matter. The philosophical school of Neoplatonism, most active in Late Antiquity, claimed that the physical and the spiritual are both emanations of the One. Neoplatonism exerted a considerable influence on Christianity, as did the philosophy of Aristotle via scholasticism. The Catholic doctrine of the resurrection of the body does nor subscribe that, sees body and soul as forming a whole and states that at the second coming, the souls of the departed will be reunited with their bodies as a whole person (substance) and witness to the apocalypse. The thorough consistency between dogma and contemporary science was maintained here in part from a serious attendance to the principle that there can be only one truth. Consistency with science, logic, philosophy, and faith remained a high priority for centuries, and a university doctorate in theology generally included the entire science curriculum as a prerequisite. This doctrine is not universally accepted by Christians today. Many believe that one's immortal soul goes directly to Heaven upon death of the body. In his Meditations on First Philosophy, Descartes embarked upon a quest in which he called all his previous beliefs into doubt, in order to find out what he could be certain of. In so doing, he discovered that he could doubt whether he had a body (it could be that he was dreaming of it or that it was an illusion created by an evil demon), but he could not doubt whether he had a mind. This gave Descartes his first inkling that the mind and body were different things. The mind, according to Descartes, was a "thinking thing" (Latin: res cogitans), and an immaterial substance. This "thing" was the essence of himself, that which doubts, believes, hopes, and thinks. The body, "the thing that exists" (Latin: res extensa), regulates normal bodily functions (such as heart and liver). According to Descartes, animals only had a body and not a soul (which distinguishes humans from animals). The distinction between mind and body is argued in Meditation VI as follows: I have a clear and distinct idea of myself as a thinking, non-extended thing, and a clear and distinct idea of body as an extended and non-thinking thing. Whatever I can conceive clearly and distinctly, God can so create. In addition to already discussed theories of dualism (particularly the Christian and Cartesian models) there are new theories in the defense of dualism. Naturalistic dualism comes from Australian philosopher, David Chalmers (born 1966) who argues there is an explanatory gap between objective and subjective experience that cannot be bridged by reductionism because consciousness is, at least, logically autonomous of the physical properties upon which it supervenes. According to Chalmers, a naturalistic account of property dualism requires a new fundamental category of properties described by new laws of supervenience; the challenge being analogous to that of understanding electricity based on the mechanistic and Newtonian models of materialism prior to Maxwell's equations. A similar defense comes from Australian philosopher Frank Jackson (born 1943) who revived the theory of epiphenomenalism which argues that mental states do not play a role in physical states. Jackson argues that there are two kinds of dualism. The first is substance dualism that assumes there is second, non-corporeal form of reality. In this form, body and soul are two different substances. The second form is property dualism that says that body and soul are different properties of the same body. He claims that functions of the mind/soul are internal, very private experiences that are not accessible to observation by others, and therefore not accessible by science (at least not yet). We can know everything, for example, about a bat's facility for echolocation, but we will never know how the bat experiences that phenomenon. Mental events have a certain subjective quality to them, whereas physical ones seem not to. So, for example, one may ask what a burned finger feels like, or what the blueness of the sky looks like, or what nice music sounds like. Philosophers of mind call the subjective aspects of mental events qualia. There is something that it's like to feel pain, to see a familiar shade of blue, and so on. There are qualia involved in these mental events. And the claim is that qualia cannot be reduced to anything physical. Richard Swinburne, in his book The Existence of God, put forward an argument for mind-body dualism based upon personal identity. He states that the brain is composed of two hemispheres and a cord linking the two and that, as modern science has shown, either of these can be removed without the person losing any memories or mental capacities. He then cites a thought-experiment for the reader, asking what would happen if each of the two hemispheres of one person were placed inside two different people. Either, Swinburne claims, one of the two is me or neither is- and there is no way of telling which, as each will have similar memories and mental capacities to the other. In fact, Swinburne claims, even if one's mental capacities and memories are far more similar to the original person than the others' are, they still may not be him. By assuming a deterministic physical universe, the objection can be formulated more precisely. When a person decides to walk across a room, it is generally understood that the decision to do so, a mental event, immediately causes a group of neurons in that person's brain to fire, a physical event, which ultimately results in his walking across the room. The problem is that if there is something totally nonphysical causing a bunch of neurons to fire, then there is no physical event which causes the firing. This means that some physical energy is required to be generated against the physical laws of the deterministic universe—this is by definition a miracle and there can be no scientific explanation of (repeatable experiment performed regarding) where the physical energy for the firing came from. Such interactions would violate the fundamental laws of physics. In particular, if some external source of energy is responsible for the interactions, then this would violate the law of the conservation of energy. Dualistic interactionism has therefore been criticized for violating a general heuristic principle of science: the causal closure of the physical world. The Stanford Encyclopedia of Philosophy and the New Catholic Encyclopedia give two possible replies to the above objections. The first reply is that the mind may influence the distribution of energy, without altering its quantity. The second possibility is to deny that the human body is causally closed, as the conservation of energy applies only to closed systems. However, physicalists object that no evidence exists for the causal non-closure of the human body. Robin Collins responds that energy conservation objections misunderstand the role of energy conservation in physics. Well understood scenarios in general relativity violate energy conservation and quantum mechanics provides precedent for causal interactions, or correlation without energy or momentum exchange. However, this does not mean the mind spends energy and, despite that, it still doesn't exclude the supernatural. Robinson suggests that the interaction may involve dark energy, dark matter or some other currently unknown scientific process. However, such processes would necessarily be physical, and in this case dualism is replaced with physicalism, or the interaction point is left for study at a later time when these physical processes are understood. Another reply is that the interaction taking place in the human body may not be described by "billiard ball" classical mechanics. If a nondeterministic interpretation of quantum mechanics is correct then microscopic events are indeterminate, where the degree of determinism increases with the scale of the system (see Quantum decoherence). Philosophers Karl Popper and John Eccles and physicist Henry Stapp have theorized that such indeterminacy may apply at the macroscopic scale. However, Max Tegmark has argued that classical and quantum calculations show that quantum decoherence effects do not play a role in brain activity. Indeed, macroscopic quantum states have only ever been observed in superconductors near absolute zero. Yet another reply to the interaction problem is to note that it doesn't seem that there is an interaction problem for all forms of substance dualism. For instance, Thomistic dualism (the dualism of Thomas Aquinas) doesn't obviously face any issue with regards to interaction. Thomas Breuer in 1994 had proven that physical theories valid for the whole universe are impossible. Any theory will be wrong when applied to a system which contains the observer himself due to self-reference. [dubious – discuss] This proves that the observer's own body does not follow the same physical laws as the rest of the universe. But other people from the observer's point of view will obey the usual physical laws, so conducting experiments on them would not indicate any divergence from the physical predictions. This argument has been formulated by Paul Churchland, among others. The point is that, in instances of some sort of brain damage (e.g. caused by automobile accidents, drug abuse, pathological diseases, etc. ), it is always the case that the mental substance and/or properties of the person are significantly changed or compromised. If the mind were a completely separate substance from the brain, how could it be possible that every single time the brain is injured, the mind is also injured? Indeed, it is very frequently the case that one can even predict and explain the kind of mental or psychological deterioration or change that human beings will undergo when specific parts of their brains are damaged. So the question for the dualist to try to confront is how can all of this be explained if the mind is a separate and immaterial substance from, or if its properties are ontologically independent of, the brain. Property dualism and William Hasker's "emergent dualism" seek to avoid this problem. They assert that the mind is a property or substance that emerges from the appropriate arrangement of physical matter, and therefore could be affected by any rearrangement of matter. ^ a b c d e f g Hart, W.D. (1996) "Dualism", in A Companion to the Philosophy of Mind, ed. Samuel Guttenplan, Oxford: Blackwell, pp. 265-7. ^ a b Aristotle (c. mid 4th century BC) On the Soul (De anima), ed. R.D. Hicks, Cambridge: Cambridge University Press, 1907; Books II-III trans. D.W. Hamlyn, Clarendon Aristotle Series, Oxford: Oxford University Press, 1968. ^ Aristotle (c. mid 4th century BC) Metaphysics (Metaphysica), ed. W.D. Ross, Oxford: Oxford University Press, 1924, 2 vols; Books IV-VI, trans. C.A. Kirwan, Clarendon Aristotle Series, Oxford: Oxford University Press, 1971; Books VII-VIII trans. D. Bostock, Clarendon Aristotle Series, Oxford: Oxford University Press, 1994; Books XIII-XIV trans. J. Annas, Clarendon Aristotle Series, Oxford: Oxford University Press, 1976. ^ a b Plato (390s-347 BC) Platonis Opera, vol. 1, Euthyphro, Apologia Socratis, Crito, Phaedo, Cratylus, Theaetetus, Sophistes, Politicus, ed. E.A. Duke, W.F. Hicken, W.S.M. Nicoll, D.B. Robinson and J.C.G. Strachan, Oxford: Clarendon Press, 1995. ^ a b c d e Robinson, Howard, "Dualism", The Stanford Encyclopedia of Philosophy (Fall 2003 Edition), ed. Edward N. Zalta, http://plato.stanford.edu/archives/fall2003/entries/dualism/. ^ a b c Descartes, R. (1641) Meditations on First Philosophy, in The Philosophical Writings of René Descartes, trans. by J. Cottingham, R. Stoothoff and D. Murdoch, Cambridge: Cambridge University Press, 1984, vol. 2, pp. 1-62. ^ a b Searle, John (1983) "Why I Am Not a Property Dualist", "Archived copy". Archived from the original on 2006-12-10. Retrieved 2007-03-08. CS1 maint: Archived copy as title (link). ^ a b c d e Robinson, H. (2003) "Dualism", in The Blackwell Guide to Philosophy of Mind, ed. S. Stich and T. Warfield, Oxford: Blackwell, pp. 85-101. ^ a b Donald Davidson (1980) Essays on Actions and Events, Oxford University Press. ISBN 0-19-924627-0. ^ Fodor, Jerry (1968) Psychological Explanation, Random House. ISBN 0-07-021412-3. ^ Gallagher, S. 2006. "Where's the action? Epiphenomenalism and the problem of free will". In S. Pockett, W. Banks, and S. Gallagher. Does Consciousness Cause Behavior? (109-124). Cambridge, MA: MIT Press. ^ a b Jackson, Frank (September 2003). "Mind and Illusion". Royal Institute of Philosophy Supplement. 53: 251–271. doi:10.1017/S1358246100008365. Archived from the original on 26 May 2013. Retrieved 19 November 2012. ^ Whittaker (1901) The Neo-Platonists, Cambridge: Cambridge University Press. ^ Aristotle, de Anima II. 1-2. ^ Summa theologiae, I. 29.1; 75.4ad2; Disputed Questions on the Soul I. ^ Aquinas, Thomas (1266-71) Summa Theologica. trans. Fathers of the English Dominican Province, 2d, rev. ed., 22 vols., London: Burns, Oates & Washbourne, 1912-36; reprinted in 5 vols., Westminster, MD: Christian Classics, 1981. ^ "Apostles' Creed". Catechism of the Catholic Church. Archived from the original on 2007-09-28. ^ Spong, John Selby (1994) Resurrection: Myth or Reality, New York: HarperCollins Publishing. ISBN 0-06-067546-2. ^ Prinz, Wolfgang (January 1992). "Why don't we perceive our brain states?". European Journal of Cognitive Psychology. 4 (1): 1–20. doi:10.1080/09541449208406240. ^ Nagel, Thomas (1986) The View From Nowhere, New York: Oxford University Press. ^ Dennett, Daniel C. (1991). Consciousness Explained. Little, Brown and Co. ISBN 978-0-316-18065-8. ^ Jackson, Frank (1977) Perception: A Representative Theory, Cambridge: Cambridge University Press. ^ O'Hear, Anthony (2003). Mind and Illusion, in "Minds and Persons". Cambridge University Press. p. 251. ^ Lewis, David (1988) "What Experience Teaches", in Papers in Metaphysics and Epistemology, Cambridge: Cambridge University Press, 1999, pp. 262-290. ^ Chalmers, David (1997). The Conscious Mind. Oxford University Press. ISBN 978-0-19-511789-9. ^ Chalmers, David (2010). The Character of Consciousness. Oxford University Press. ISBN 978-0-19-531110-5. ^ Dennett, Daniel (1995). "The unimagined preposterousness of zombies". Journal of Consciousness Studies. 2: 322–6. ^ Dennett, Daniel (1991). Consciousness Explained. Little, Brown and Co. p. 95. ISBN 978-0-316-18065-8. ^ Pylyshyn, Zenon W. (1986). Computation and Cognition. MIT Press. p. 259. ISBN 9780262660587. ^ Schwarz, Jeffrey M.; Stapp, Henry P.; Beauregard, Mario (June 2005). "Quantum Physics in Neuroscience and Psychology: A Neurophysical Model of Mind-Brain Interaction". Philosophical Transactions: Biological Sciences. 360 (1458): 1309–1327. doi:10.1098/rstb.2004.1598. JSTOR 30041344. PMC 1569494. PMID 16147524. ^ Brown (2003). Chemistry. NJ: Prentice Hall. pp. 2–3. ISBN 978-0-13-066997-1. ^ Various (December 1994). "Accurate First Principles Calculation of Molecular Charge Distributions and Solvation Energies from Ab Initio Quantum Mechanics and Continuum Dielectric Theory". J. Am. Chem. Soc. 116 (26): 11875–11882. doi:10.1021/ja00105a030. ^ Ma, Buyong; Nussinov, Ruth (November 2004). "From computational quantum chemistry to computational biology: experiments and computations are (full) partners". Phys. Biol. 1 (4): 23. Bibcode:2004PhBio...1P..23M. doi:10.1088/1478-3967/1/4/P01. ^ Various (April 2010). "Quantum Monte Carlo computations of phase stability, equations of state, and elasticity of high-pressure silica". PNAS. 107 (21): 9519–9524. arXiv:1001.2066. Bibcode:2010PNAS..107.9519D. doi:10.1073/pnas.0912130107. PMC 2906913. PMID 20457932. ^ Pyykko, Pekka (21 July 2012). "The Physics behind Chemistry and the Periodic Table". Chem. Rev. 112 (1): 371–384. doi:10.1021/cr200042e. PMID 21774555. ^ Pyykko, Pekka (22 Oct 2010). "A suggested periodic table up to Z ≤ 172, based on Dirac–Fock calculations on atoms and ions". Physical Chemistry Chemical Physics. 13 (1): 161–168. Bibcode:2011PCCP...13..161P. doi:10.1039/C0CP01575J. PMID 20967377. Archived from the original on 11 October 2012. Retrieved 10 November 2012. ^ Sober, Elliott (December 1999). "The Multiple Realizability Argument against Reductionism". Philosophy of Science. 66 (4): 542–564. doi:10.1086/392754. JSTOR 188749. ^ a b c Madell, G. (1981) The Identity of the Self, Edinburgh: Edinburgh University Press. Cite error: Invalid <ref> tag; name "MG" defined multiple times with different content (see the help page). ^ Shoemaker, S. and Swinburne, R. (1984) Personal Identity, Oxford: Blackwell. ^ Sayer, George (2005). Jack: A Life of C. S. Lewis. Crossway. ISBN 978-1581347395. ^ Beversluis, John (2007). C.S. Lewis and the Search for Rational Religion (Revised and Updated). Prometheus Books. ISBN 978-1591025313. ^ "c. Problems of Interaction". Internet Encyclopedia of Philosophy. Archived from the original on 28 October 2012. Retrieved 15 November 2012. ^ Michel Weber and Anderson Weekes (eds. ), Process Approaches to Consciousness in Psychology, Neuroscience, and Philosophy of Mind (Whitehead Psychology Nexus Studies II) Archived 2015-04-08 at the Wayback Machine, Albany, New York, State University of New York Press, 2009. ^ Lewis, C.S (1947). Miracles. ISBN 978-0-688-17369-2. ^ a b "Causal Determinism of Quantum Mechanics". Stanford Encyclopedia of Philosophy. Retrieved 16 November 2012. ^ Wilson, D. L. (1999). "Mind-brain interaction and the violation of physical laws." In B. Libet, A. Freeman, & K. Sutherland (Eds. ), The Volitional Brain (pp. 185–200). Thorverton, UK: Imprint Academic. ^ Mohrhoff, U. (1999). "The physics of interaction." In B. Libet, A. Freeman, & K. Sutherland (Eds. ), The Volitional Brain (pp. 165–184). Thorverton, UK: Imprint Academic. ^ Jaswal, L (2005). "Isolating disparate challenges to Hodgson's account of free will". Journal of Consciousness Studies. 12 (1): 43–46. ^ Clark, T. W. (2005a). "Hodgson's black box". Journal of Consciousness Studies. 12 (1): 38–59. ^ Baker, Gordon and Morris, Katherine J. (1996) Descartes' Dualism, London: Routledge. ^ Lycan, William (1996) "Philosophy of Mind" in The Blackwell Companion to Philosophy, ed. Nicholas Bunnin and E. P. Tsui-James, Oxford: Blackwell Publishers. ^ Maher, Michael (1909) "The Law of Conservation of Energy", Catholic Encyclopedia, vol. 5, pp. 422 ff, "Archived copy". Archived from the original on 2007-07-01. Retrieved 2007-05-20. CS1 maint: Archived copy as title (link). ^ Murphy, Nancy (2009). Downward Causation and the Neurobiology of Free Will. Springer. ISBN 978-3642032042. ^ Mills, E. (1996). "Interactionism and Overdetermination". American Philosophical Quarterly. 33: 105–117. ^ Althusser, Louis (1985). "Contradiction and Overdetermination," in For Marx. ISBN 978-0-902308-79-4. ^ Churchland, Paul (1984). Matter and Consciousness, Revised Edition. MIT Press. ISBN 9780262530743. ^ Popper, Karl R. and Eccles, John C. (1977) The Self and Its Brain, Berlin: Springer. ^ Tegmark, Max (April 2000). "Importance of quantum decoherence in brain processes". Phys. Rev. E. 61 (4): 4194–4206. arXiv:quant-ph/9907009. Bibcode:2000PhRvE..61.4194T. doi:10.1103/PhysRevE.61.4194. Archived from the original on 23 February 2013. Retrieved 18 November 2012. ^ Churchland, Paul (1988) Matter and Consciousness, Revised Edition, Cambridge, MA: MIT Press. ^ Stanford Encyclopedia of Philosophy, "Emergent Properties". Excerpt: "William Hasker (1999) goes one step further in arguing for the existence of the mind conceived as a non-composite substance which ‘emerges’ from the brain at a certain point in its development. He dubs his position ‘emergent dualism,’ and claims for it all the philosophical advantages of traditional, Cartesian substance dualism while being able to overcome a central difficulty, viz., explaining how individual brains and mental substances come to be linked in a persistent, ‘monogamous’ relationship. Here, Hasker, is using the term to express a view structurally like one (vitalism) that the British emergentists were anxious to disavow, thus proving that the term is capable of evoking all manner of ideas for metaphysicians." ^ Buchman AL, Sohel M, Brown M, et al. (2001). "Verbal and visual memory improve after choline supplementation in long-term total parenteral nutrition: a pilot study". JPEN J Parenter Enteral Nutr. 25 (1): 30–5. doi:10.1177/014860710102500130. PMID 11190987. ^ Arnold, Sebastian J.; Robertson, Elizabeth J. (February 2009). "Making a commitment: cell lineage allocation and axis patterning in the early mouse embryo". Nature Reviews Molecular Cell Biology. 10 (2): 91–103. doi:10.1038/nrm2618. PMID 19129791. Archived from the original on 1 September 2010. Retrieved 16 November 2012. ^ Haynes, John-Dylan; Rees, Geraint (July 2006). "Decoding mental states from brain activity in humans". Nature Reviews Neuroscience. 7 (7): 523–534. doi:10.1038/nrn1931. PMID 16791142. Archived from the original on 2012-12-15. ^ Dehaene, Stanislas; Naccache, Lionel (April 2001). "Towards a cognitive neuroscience of consciousness: basic evidence and a workspace framework". Cognition. 79 (1–2): 1–37. doi:10.1016/S0010-0277(00)00123-2. PMID 11164022. ^ Dehaene, Stanislas (2002). The Cognitive Neuroscience of Consciousness. MIT. p. 4. ISBN 978-0262541312. ^ Glassen, Peter (1976). "J. J. C. Smart, Materialism and Occam's Razor". Philosophy. 51 (197): 349–352. doi:10.1017/s0031819100019392. ^ Smart, J. J. C. (1978). "Is Occam's Razor a Physical Thing?". Philosophy. 53 (205): 382–385. doi:10.1017/s0031819100022439. ^ Glassen, Peter (1983). "Smart, Materialism and Believing". Philosophy. 58 (223): 95–101. doi:10.1017/s0031819100056291. ^ Plato Stanford Encyclopedia of Philosophy: Simplicity. Excerpt: "Perhaps scientists apply an unrestricted version of Occam's Razor to that portion of reality in which they are interested, namely the concrete, causal, spatiotemporal world. Or perhaps scientists apply a 'concretized' version of Occam's Razor unrestrictedly. Which is the case? The answer determines which general philosophical principle we end up with: ought we to avoid the multiplication of objects of whatever kind, or merely the multiplication of concrete objects? The distinction here is crucial for a number of central philosophical debates. 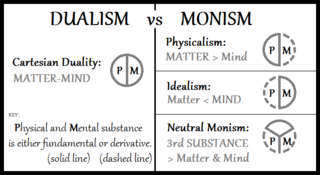 Unrestricted Occam's Razor favors monism over dualism, and nominalism over platonism. By contrast, 'concretized' Occam's Razor has no bearing on these debates, since the extra entities in each case are not concrete".